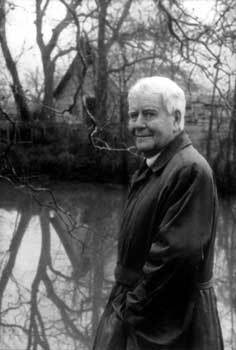 Horton Foote was born, as he writes in his memoirs, “Tuesday, March 14, 1916, in a rented room in the town of Wharton, Texas.” His realistic portrayal of locales and characters of southeastern Texas has been his signature for over five decades of writing for stage, television and film. He began his career as an actor at the Pasadena Playhouse in California. His first play, Wharton Dance, was produced in New York in 1941 and was followed by Texas Town, Only The Heart, Celebration , and The Chase, featuring Kim Hunter and Kim Stanley. He wrote The Trip To Bountiful for NBC television and adapted it for the 1953 Broadway production featuring Lillian Gish, Eva Marie Saint and Jo Van Fleet. During the 1950s and 60s he achieved prominence writing for television. The Philco-Goodyear Playhouse, Playhouse 90, DuPont Play of the Month and U.S. Steel Hour featured Foote’s work. His television plays include The Dancer, The Night Of The Storm, The Oil Well, A Young Lady Of Property and Flight. More recently, Alone, featuring Hume Cronyn and James Earl Jones, and Lily Dale were seen on ShowTime. His adaptation of Faulkner’s The Old Man for Hallmark Hall of Fame won him a 1997 Emmy Award. Foote’s film work includes screenplays for Storm Fear and Baby The Rain Must Fall, starring Steve McQueen and Lee Remick, based on his play, The Traveling Lady. His adaptation of Harper Lee’s To Kill A Mockingbird with Gregory Peck won him an Academy Award in 1962. A second Oscar came in 1983 for his screenplay of Tender Mercies featuring Robert Duvall, Tess Harper and Betty Buckley. Other movies include The Trip To Bountiful (for which Geraldine Page won an Academy Award for Best Actress) and Tomorrow. Foote wrote the screenplays for film versions of many of his plays, including Courtship, On Valentine’s Day and 1918, featuring Hallie Foote, William Converse-Roberts and Matthew Broderick, and Convicts, featuring Robert Duvall and James Earl Jones. He also adapted John Steinbeck’s novel Of Mice And Men for the 1991 film featuring John Malkovich and Gary Sinise. Foote’s many works for the stage include his massive nine-play Orphans’ Home Cycle, which consists of Roots in a Parched Ground, Convicts, Lily Dale, Courtship, Valentine’s Day, 1918, The Widow Claire, Cousins and The Death of Papa. All are published by Grove Press. Other works include Dividing the Estate, The Habitation of Dragons, Blind Date and The Roads to Home. The Signature Theatre in New York dedicated its 1994-95 season to Horton Foote’s work, producing Talking Pictures, Night Seasons, The Young Man From Atlanta and Laura Dennis, for which Foote won an Outer Critics Circle Special Achievement Award. The Young Man From Atlanta earned Foote the 1995 Pulitzer Prize in Drama, and subsequently received a Tony nomination for its 1997 Broadway production featuring Rip Torn and Shirley Knight. The playwright also received the Lucille Lortel Award in 1995, and was inducted into the Theatre Hall of Fame the following year. In 1998 he was elected to the American Academy of Arts and Letters which awarded him the Gold Medal for Drama for his entire body of work. Mr. Foote’s play The One Armed Man was performed in the Ensemble Studio Theatre One-Act Marathon. The Trip To Bountiful performed in the Signature Theatre’s 2005-06 season. Farewell, and Beginnings, two memoirs of his youth, are published by Scribner. In 2008 The Trip To Bountiful was performed in the Horton Foote Festival at the Goodman Theatre in Chicago featuring Frank Girardeau with Lois Smith as the lead. The Orphan's Home Cycle, his mamoth 9-play series will be produced by the Signature Theatre, NYC this season (2009-2010).